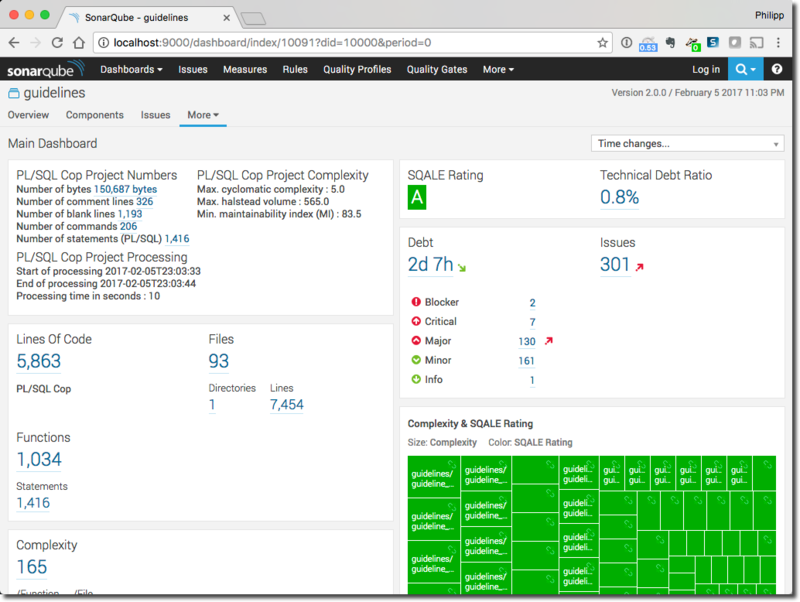 PL/SQL Cop for SonarQube is a plugin for SonarQube. 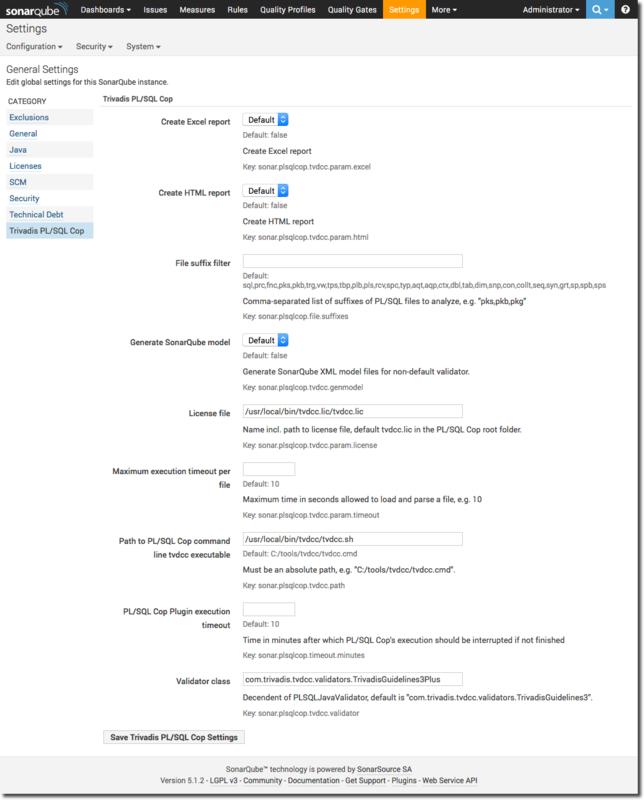 The plugin analyses SQL and PL/SQL code and calculates various metrics and checks the code for compliance of the Trivadis PL/SQL & SQL Coding Guidelines Version 3.3. Behind the scenes the plugin calls the PL/SQL Cop command line utility for the static code analysis. A static code analysis is typically initiated as part of an continuous integration setup, e.g. at the end of a Jenkins or Hudson build job. 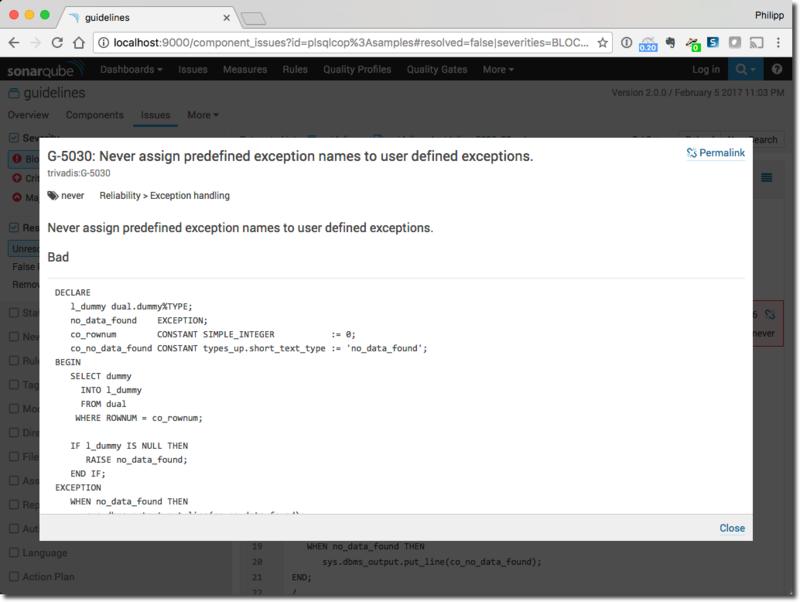 SonarQube stores the result of the analysis in a relational database. Supported are HSQLDB, PostgreSQL, MySQL, Microsoft SQL Server and Oracle Database, of course. Since every analysis is stored as a snapshot in the SonarQube repository the improvement or the decrease of the code quality may be monitored very well. Use SonarQube and the PL/SQL Cop plugin if you care about your PL/SQL code quality. Important are the analysis properties. The mandatory ones are sonar.projectKey, sonar.projectName, sonar.projectVersion and sonar.sources. You may defined them as shown above or within a sonar.properties file in the source folder. 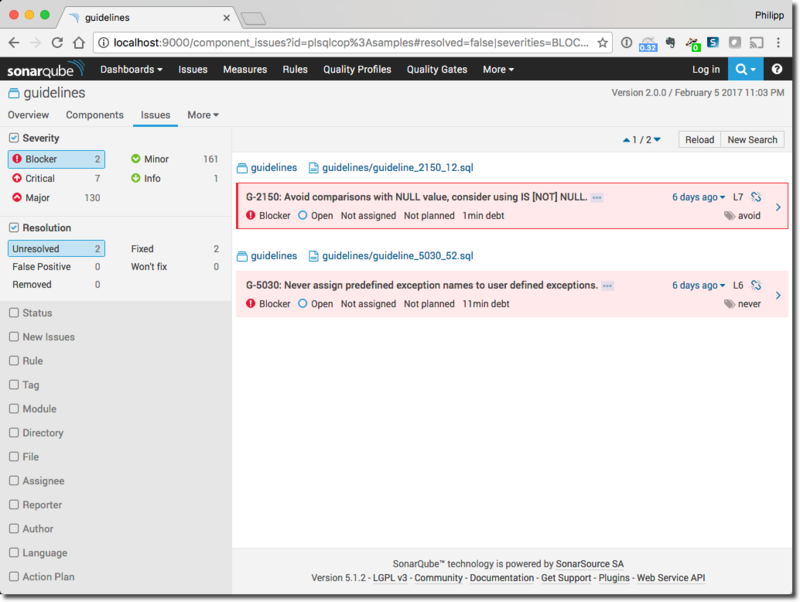 See the SonarQube documentation for more information. You see that 2 blocker issues have been found in the guideline project. Click on “2” to drill down to the blocker issues. Click on the arrow on the right side of an issue to drill down to the source code. Click on the three dots after the issue text to get more information about the violated guideline. 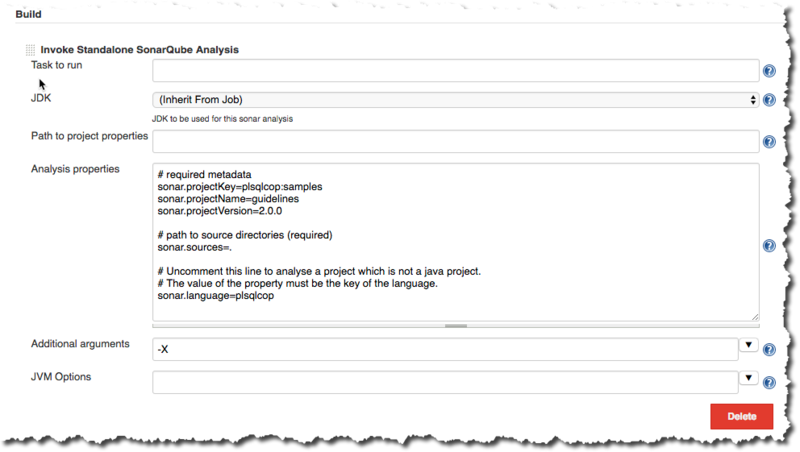 There are a lot more analysis available in SonarQube. Get your copy of PL/SQL Cop and PL/SQL Cop for SonarQube now. 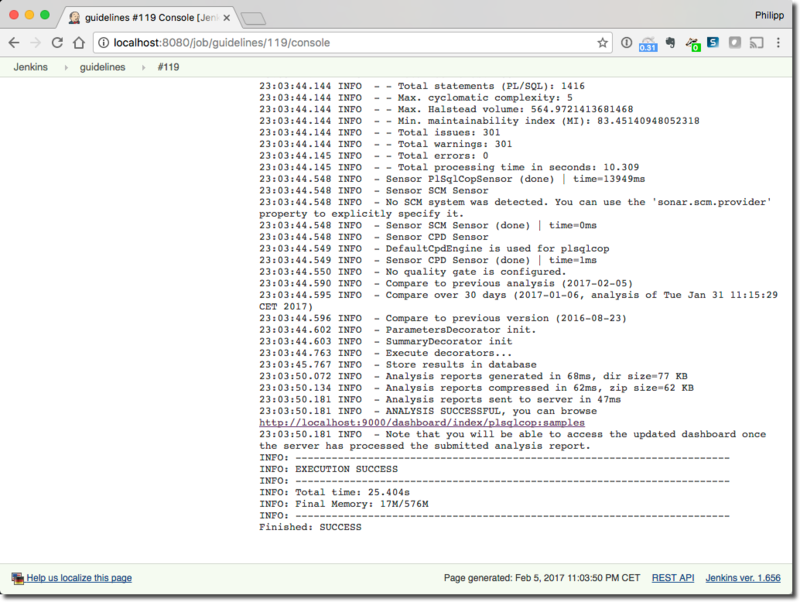 Press “Save Trivadis PL/SQL Cop Settings” to the configuration. The path to the PL/SQL Cop command line utility and the license file must be valid for the machine doing the analysis with SonarQube Scanner. 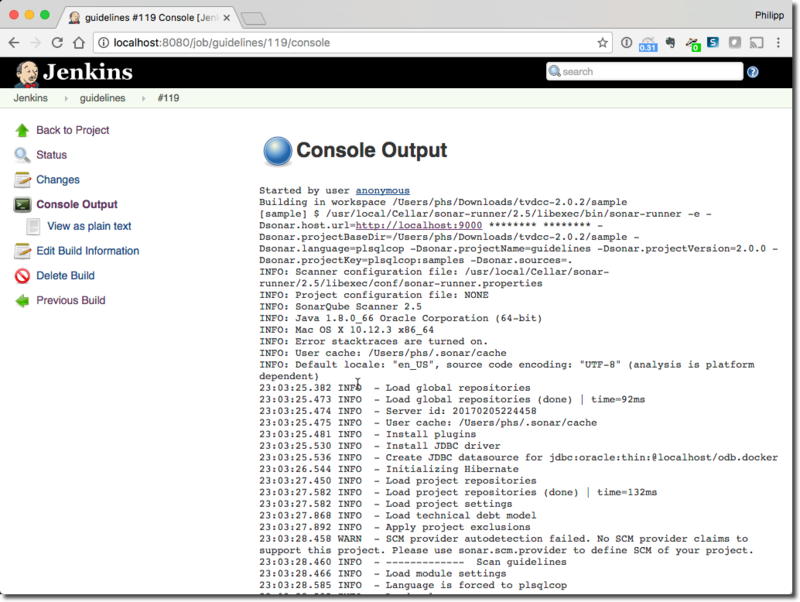 If you are using Jenkins then PL/SQL Cop command line utility must be installed on every Jenkins node. 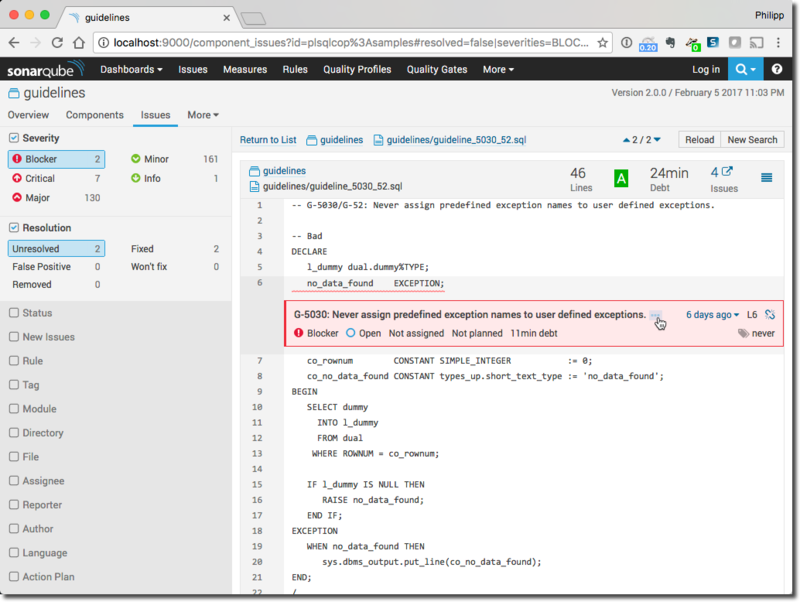 It’s important to note, that each version of PL/SQL Cop for SonarQube requires specific versions of SonarQube (see details at the top of this page). Updates are considered only for SonarQube LTS (long term support) versions. Copyright © 2019 Philipp Salvisberg.